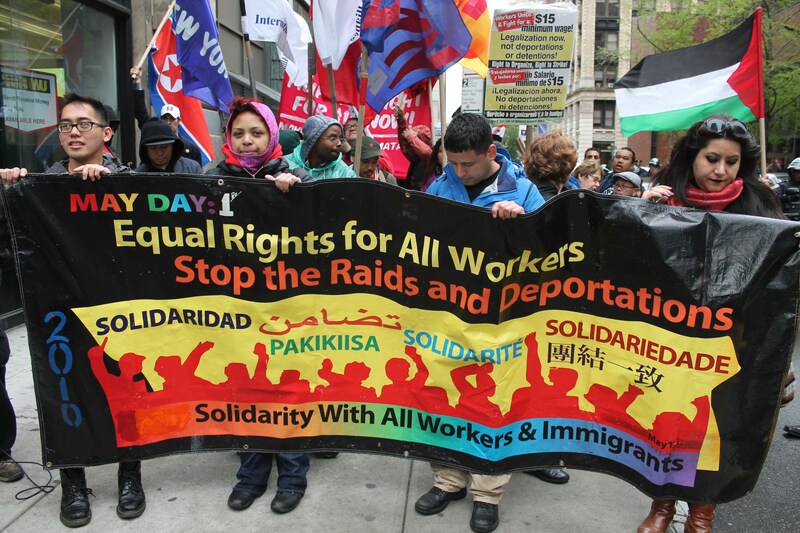 Employment Rights of Undocumented Workers It is estimated by the Pew Research Center that, in 2015, 8 million workers in the United States were undocumented. The recent increase in immigration-related arrests, and President Trump’s support of anti-immigration policies, have heightened concerns of what the future holds for those workers. In this uncertain political climate, it is important to understand the legal rights and remedies available to immigrant workers regardless of their status in the United States. Undocumented Workers are Entitled to Minimum and Overtime Wages Even without the right to work, you have the right to receive pay for work you have performed. Immigration status is irrelevant under the Fair Labor Standards Act (“FLSA”) and state wage-and-hour laws. These laws give you the right to minimum wages, which, in New York, varies between $9.70 and $11.00 per hour or $7.50 per hour for tipped employees, like waiters. You also have the right to receive one and one-half times your regular hourly rate for hours worked over forty in one week. Courts have repeatedly upheld undocumented workers’ rights under the FLSA, even if they had not reported their income to the IRS or used false social security numbers. It is Illegal for an Employer to Retaliate Against an Undocumented Worker If your employer has violated your rights under the wage or discrimination laws, you have the right to sue your employer or complain to your employer or government agencies about those violations. It is illegal for any employer to retaliate against a worker, regardless of their immigration status, who brings a claim under labor or discrimination laws. For example, your employer cannot fire you or report you to Immigration and Customs Enforcement (“ICE”) for complaining about a violation of your legal rights. Requiring you to complete an I-9 form because of your complaint may also constitute retaliation, as one court in Illinois found in E.E.O.C. v. City of Joliet. Although you may not be able to recover money for work you would have performed if you had not been fired, you may be entitled to punitive damages or an order preventing your employer from further retaliation. Protections for Undocumented Workers Suing in U.S. Courts When suing in court, both sides have the right to ask for evidence supporting the other party’s claim or defense. But courts have repeatedly rejected requests for information regarding a worker’s immigration status and their tax returns. One court has allowed an undocumented worker who returned to his home country during the lawsuit to testify from abroad. Across the nation, local governments are acting to prevent ICE from making arrests in courthouses, though the majority of labor and discrimination cases do not get to trial or require the person bringing these claims to appear in court.